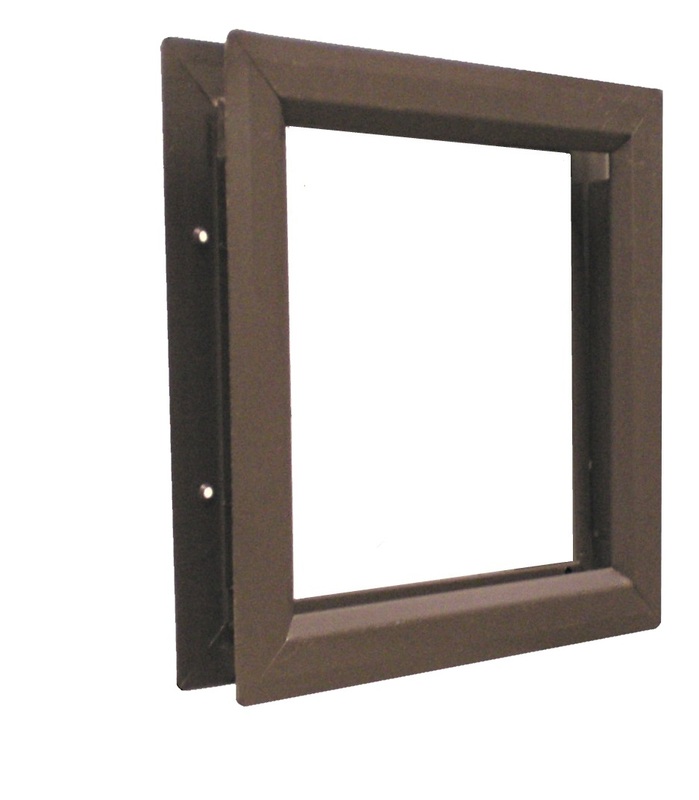 Low Profile Beveled IG Vision Lite for Fire Rated Doors. Glazing 5/16" to 1" Thickness. Material: 20 gauge CRS frame. Min. size 3" x 3", Max. 60" x 104". See Fire Rating Below. Construction: 1-1/4" trim with radius corners, mitered and welded. 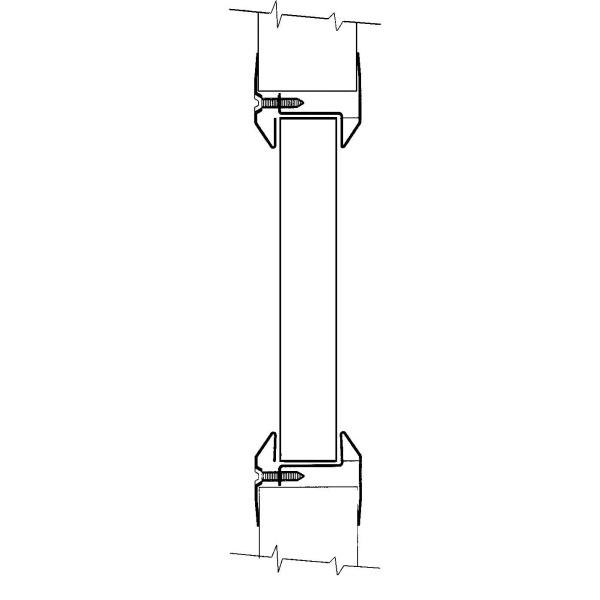 Continuous glass retainer, countersunk mounting holes in the bevel on non-corridor side. Door: UL Listing: 1” to 3” door or WHI Listing: 1-3/4” door. For other sizes, see VLFIG and VLFEZIG. 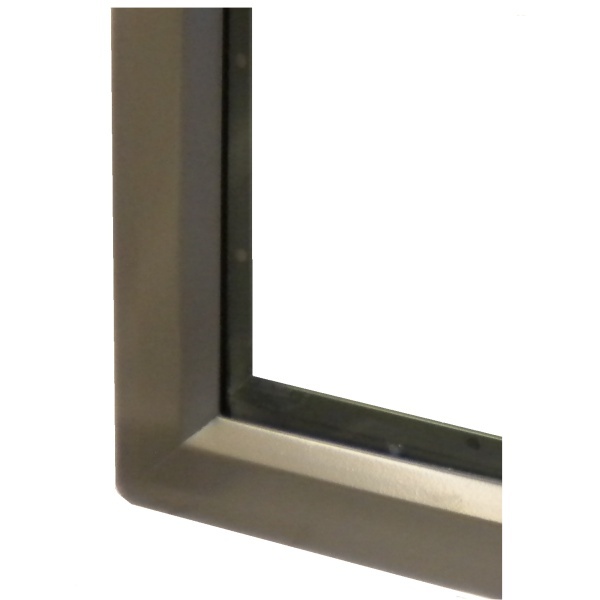 Glass: UL Listing: 5/16” to 1-11/16” or WHI Listing: 5/16"-1" - glazing to be ordered separately from Glazing Section. Use fire rated glazing with UL classification or Warnock Hersey (WHI) markings for fire rated applications. Visible light is 2" under rough opening size. Glass size is 1" under order size. Fire-Rated Air Louvers Glazing to fit this vision frame: KFRL, KFRU, CONTRA45, CONTRA60, ARMRSHIELD, LGSHIELD. 1/4” Fire-Rated Air Louvers glazing can be used with this frame in cases where door thickness is other than 1-3/4”: WS, PYRO, PYRAN, KFRF. Fire-Rating, Testing & Listings: When installed in properly rated and approved door, ratings up to 3 hours can be achieved, depending on the glazing used. See glazing ratings for maximum exposed area. Tested and Listed for UL 10C and Criteria of UBC 7-2 Positive Pressure. See detailed installation instructions. UBC 7-2 Installation: See detailed installation instructions.